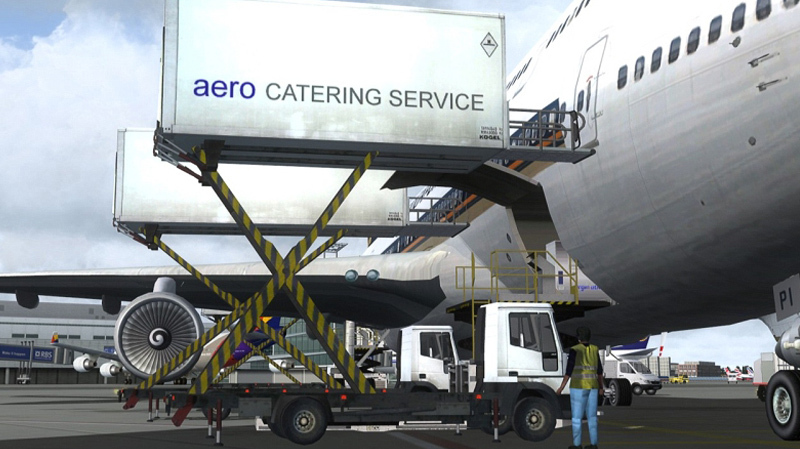 Airport Enhancement Services (AES) - Buy 10 credits for AES. 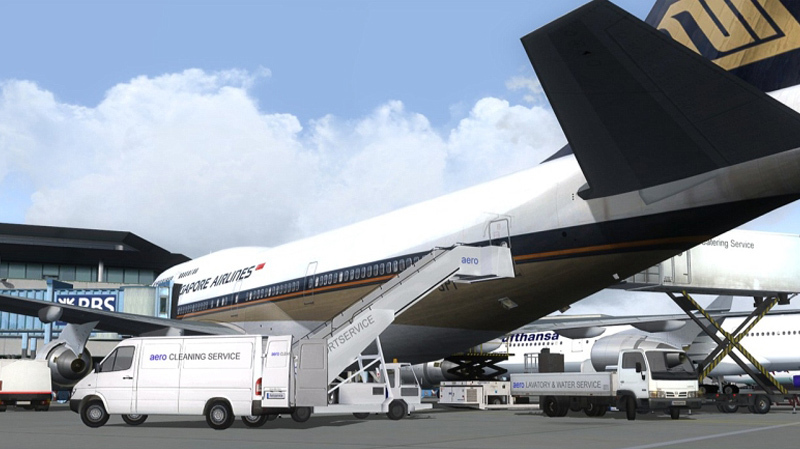 Airport Enhancement Services is a set of modules that runs INSIDE FSX and FS2004 and that will change the way how you will experience your airports. 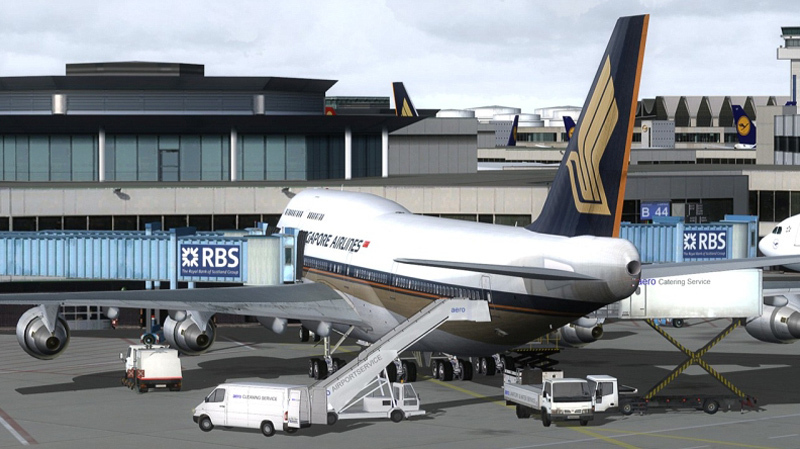 "AES Base Pack (Version 2.45)"
If you bought between 3 and 6 credit packs you get 1 free credit per credit pack you bought (so 10% additional free credits). 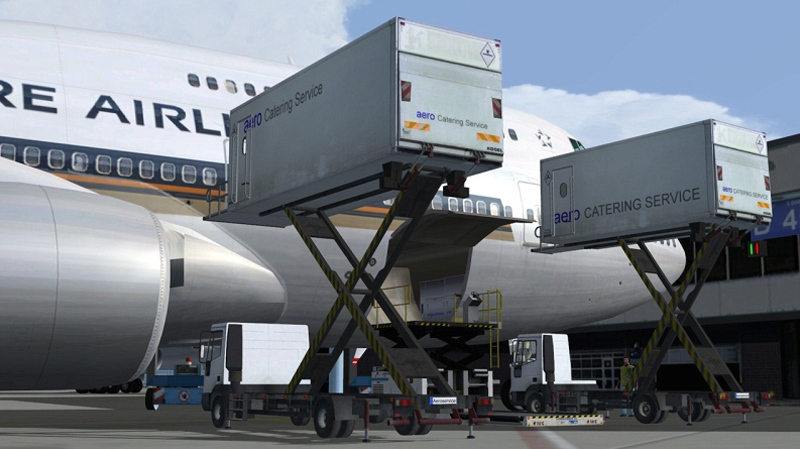 If you bought 6 credit packs you get 2 free credits per credit pack (so 20% additional credits). If you bought 9 credit packs you get 3 free credits per credit pack (so 30% additional credits). If you bought 15 credit packs you get 4 free credits per credit pack (so 40% additional credits). 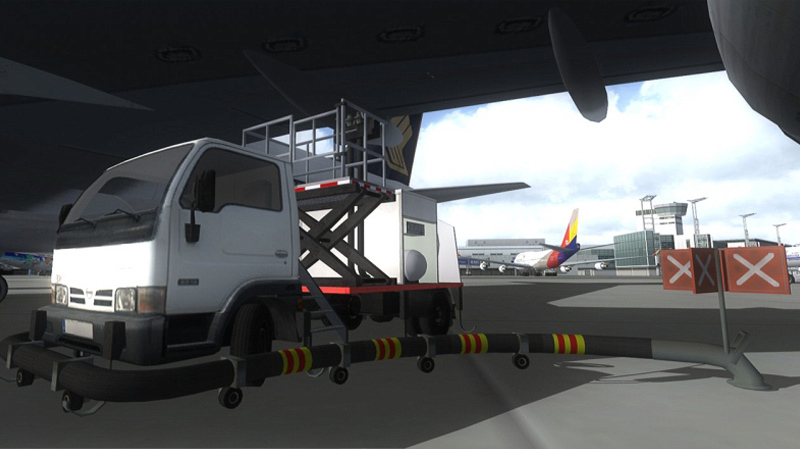 Right after you landed and departed on the runway, a follow me van will be waiting for you that brings you to the gate or parking of YOUR CHOICE. 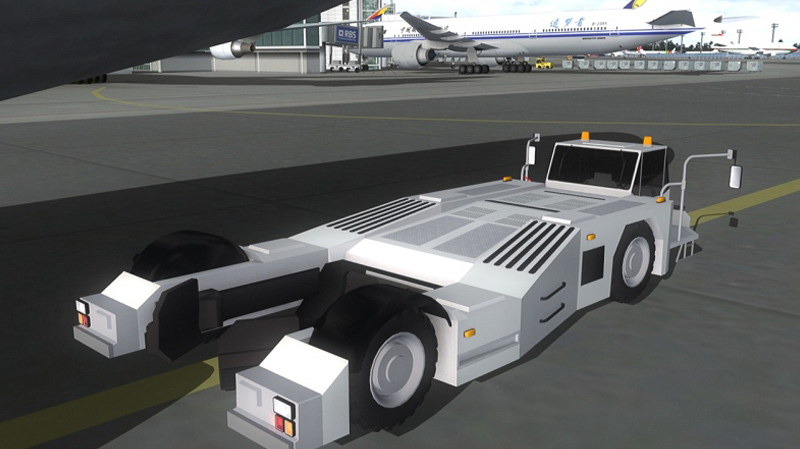 It adapts its speed to your taxi speed and even blinks its turn signals to alert you to a turn! As you get close to the gate you will see a 3d marshaller with detailed animation (far better than any being part of scenery products!) that guides you to your location and even signs you to cut your enigine(s). Then he plugs in his headphone and tells you the blocks are in location. 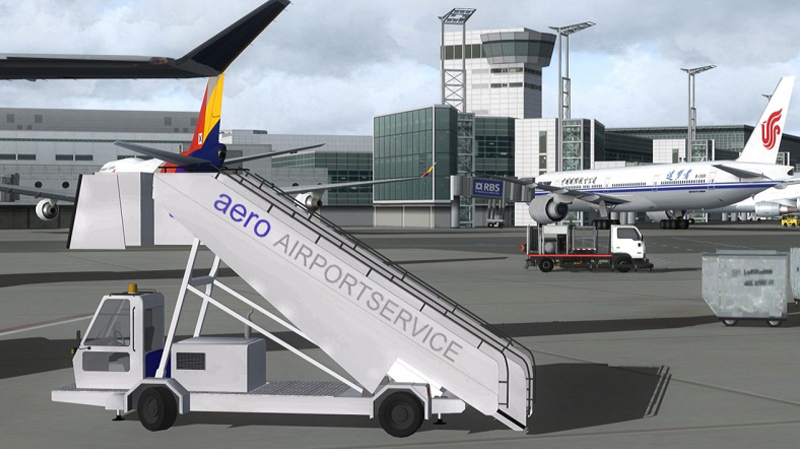 At the same moment the jetway starts moving towards your aircraft and will PERFECTLY align to the door on your aircraft (any aircraft!). 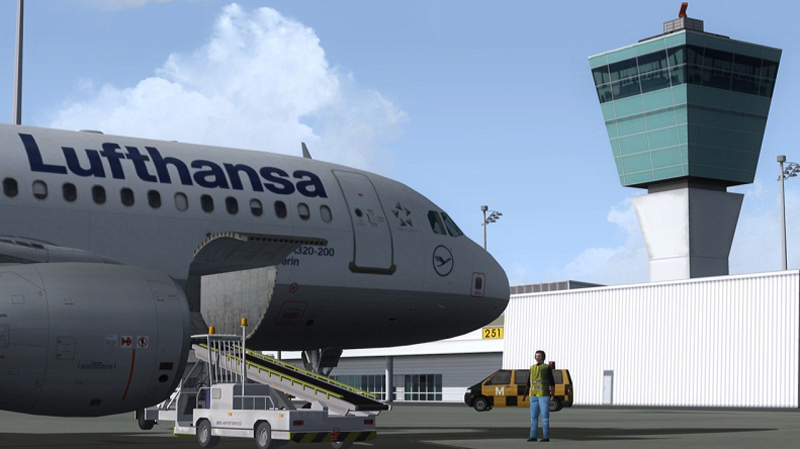 If the gate has dual jetways BOTH will work. Even the rubber seal that keeps out the rain is animated. 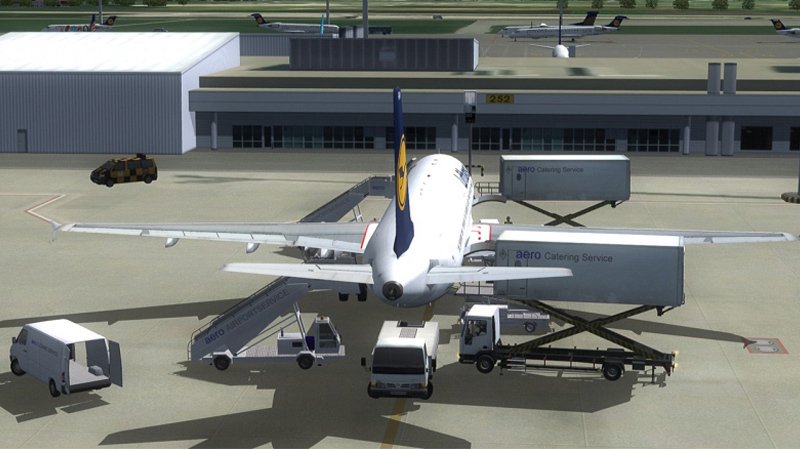 When you depart the jetway is moved back (you even hear the warning siren) and the ground crew will hook up the push back truck. Of course they will inform you of progress and tell you what to do. 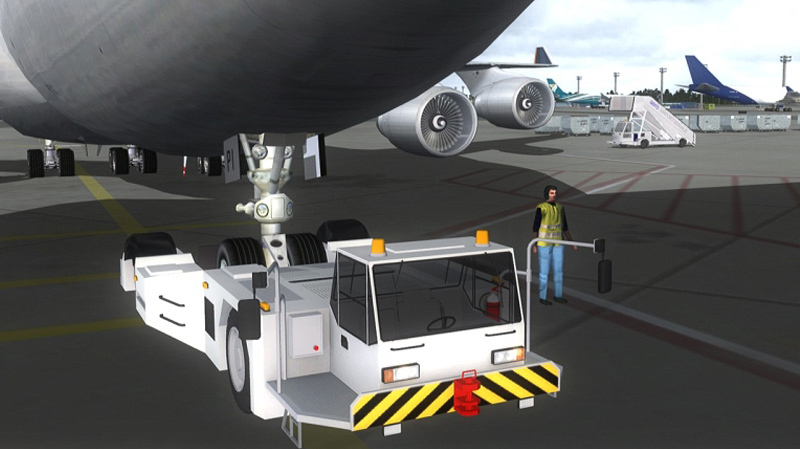 The push back is fully automated and AES even knows EXACTLY where to put the aircraft. 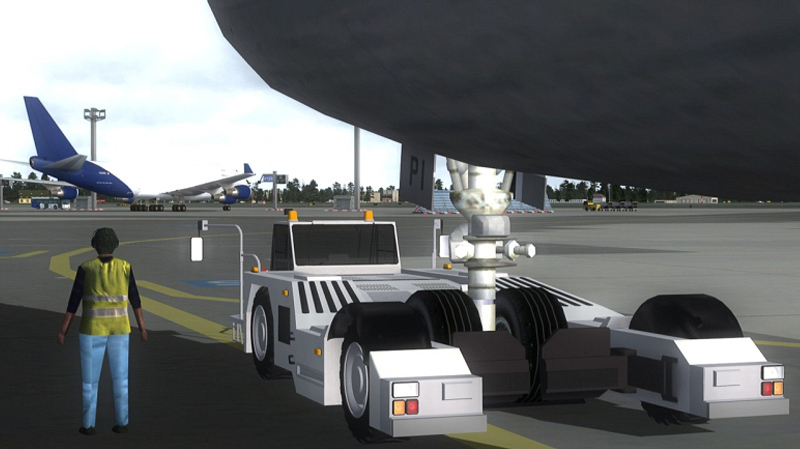 The push back truck looks great and even has engine sound. 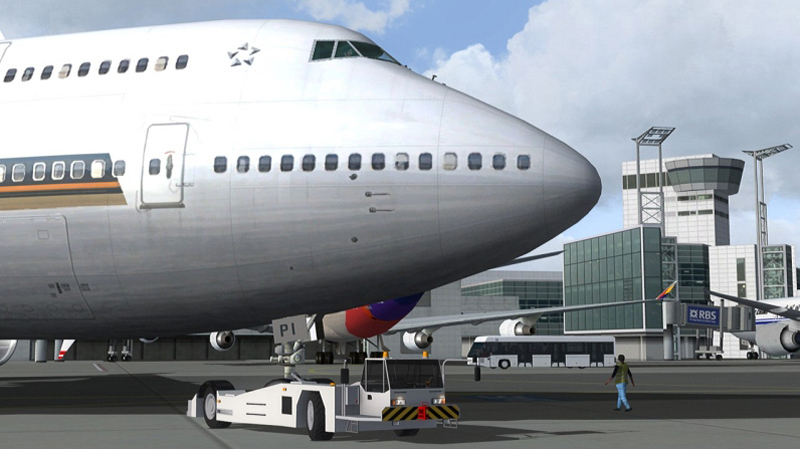 During the push back you are told that you can start engines (but only when the area is clear). 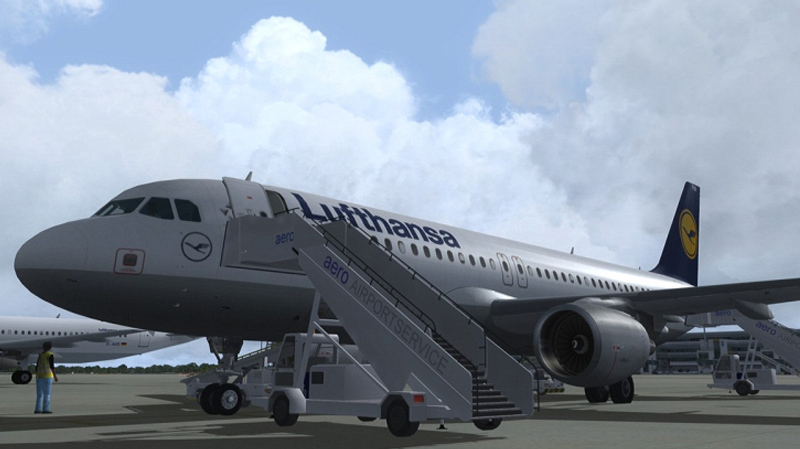 At the end of the push back the ground crew will signal you all is clear. 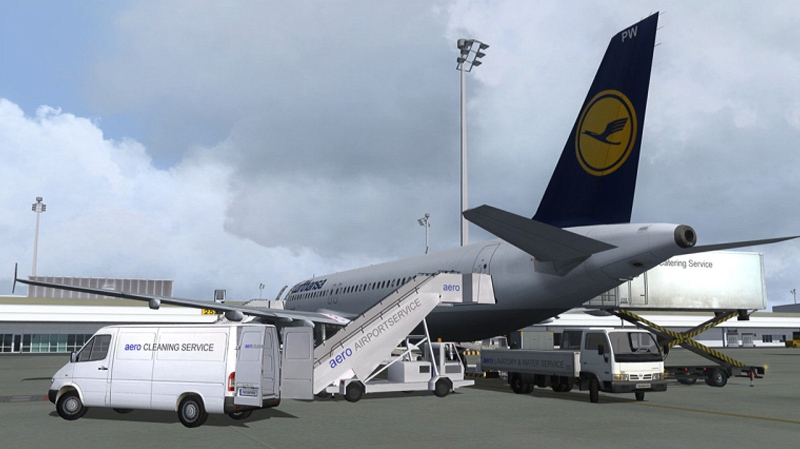 Fully realistic! 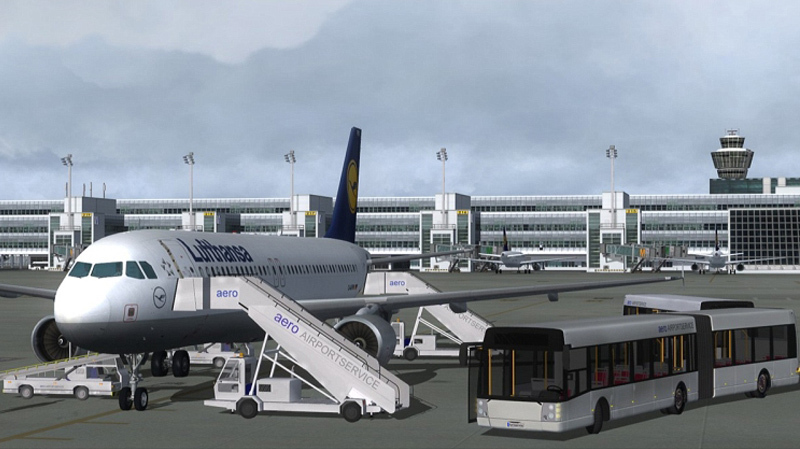 The AES Base Pack is totally free of charge and includes numerous credit free airports (see link below). 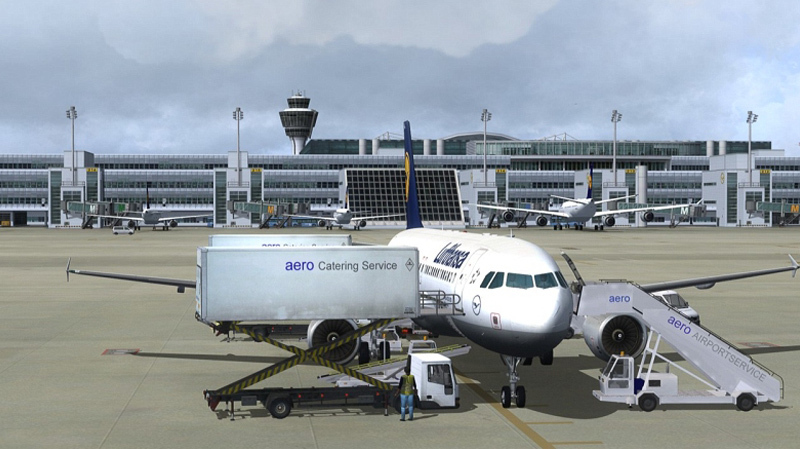 Please note that AES requires 3rd party airports to be installed previously, these are available as separate purchases, with the exception of the default Nuremberg airport. 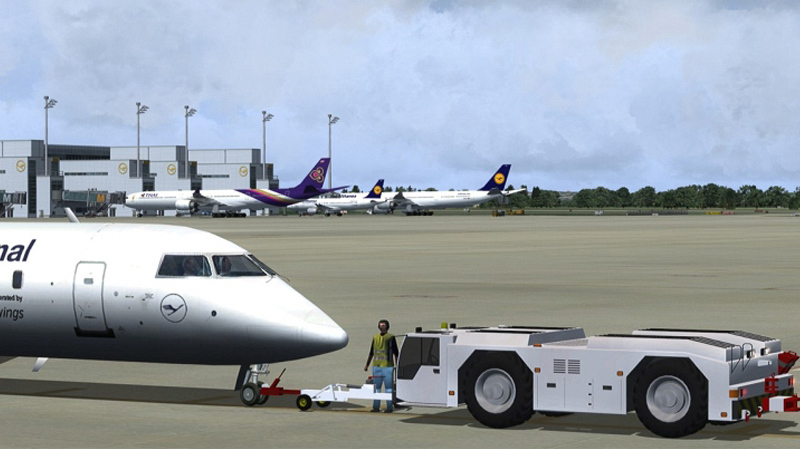 To unlock full AES service on an airport you need to buy credits. 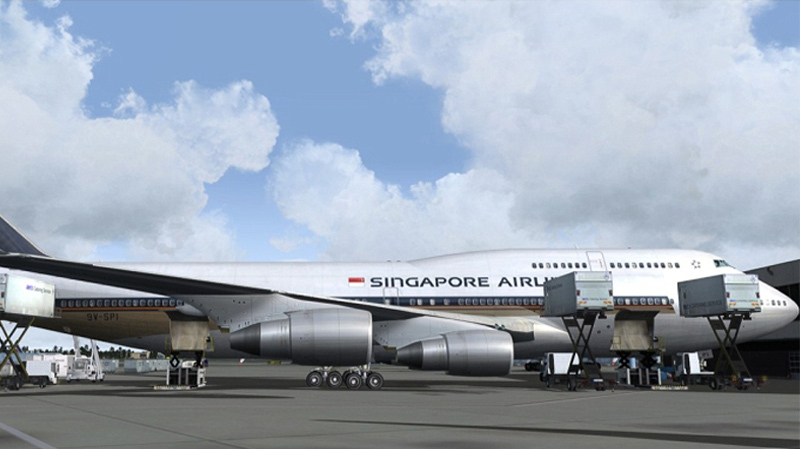 Large complex airports will need 5 credits, medium airports 3 or less. 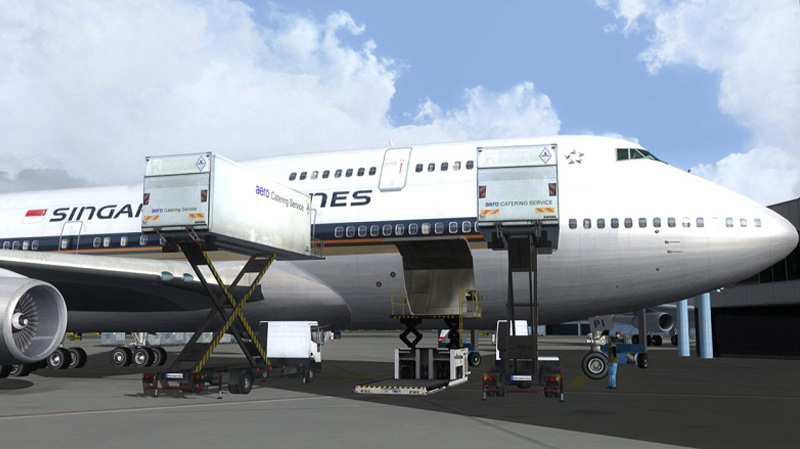 Click HERE to view the list of airports supported by AES !!! 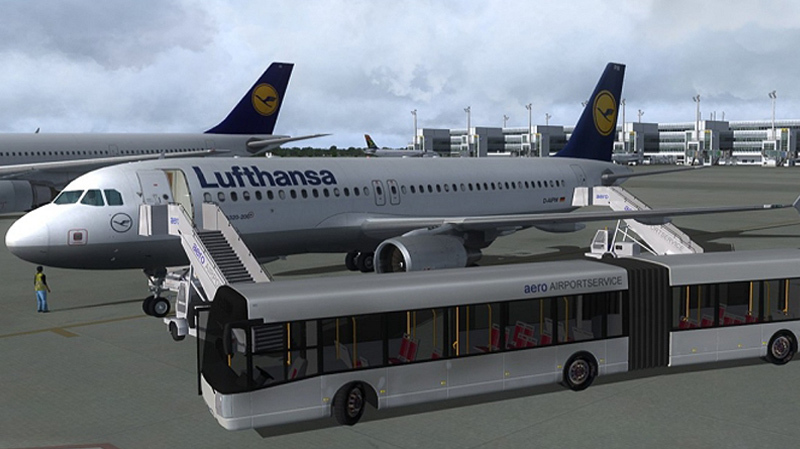 All airports marked with 0 credits will be supported for free and without any limitations, all others can be used for 10 minutes before AES switches off (leaving the airport as it was). The others can be activated with the credits you buy. 1. Download and install the "AES Base Pack" (free demo program) which incl. 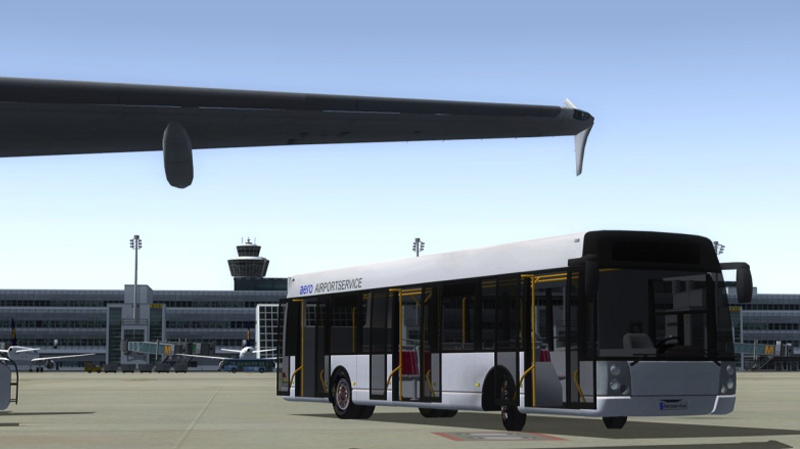 the AES system and all currently available airports. 2. 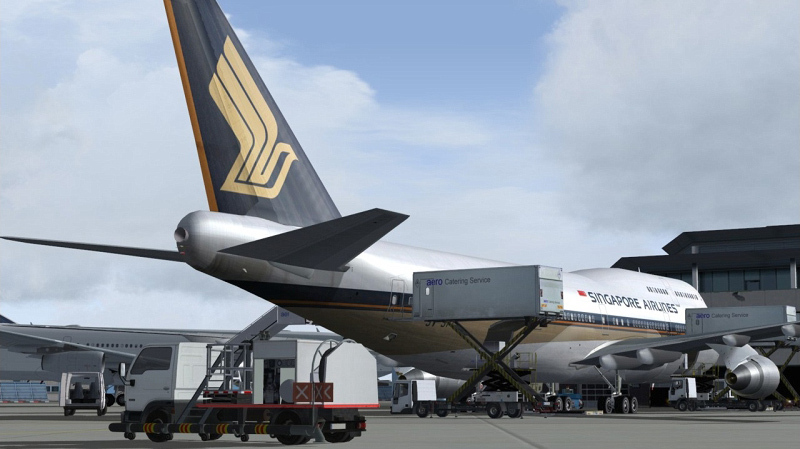 Buy AES credits to unlock additional airports. Read the full explanation in the AES pdf-manual! If you have a pre-version installed, you can just install this version on top of that, it will leave all your credits and activation intact. 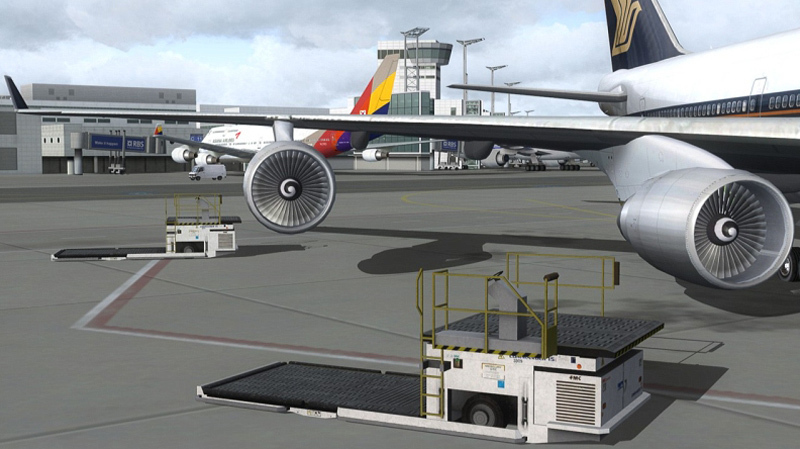 "AES Base Pack (Version 2.45)" (Incl. all mentioned airports above!)" What's new in Version 2.45? 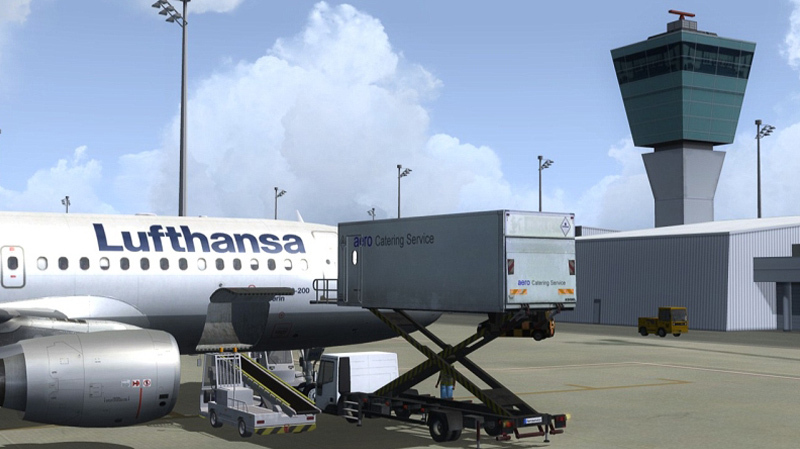 Note: The DirectX-10 preview mode in FSX is not supported. Related links to "AES Creditpack"